The holy fasting month of Ramadan will start in North America on Saturday, August 22, according to astronomical calculations, the Islamic Society of North America (ISNA) has announced. "The astronomical New Moon is on Thursday, August 20, 2009 at 10:01 Universal Time (1:01 pm Makkah time). Sunset at Makkah on August 20 is at 6:47 pm local time, while moonset at Makkah is at 6:46 pm local time (1 minute before sunset)," ISNA said in a statement on its website. "Therefore the following day Friday, August 21, 2009 is not the 1st day of Ramadan. "First day of Ramadan is Saturday, August 22, insha'Allah. First Tarawih prayer will be on Friday night." ISNA said astronomical calculations also show that this year's Ramadan will be 29 days and that the first day of `Eid Al-Fitr will be on Sunday, September 20. "The astronomical New Moon is on Friday, September 18, 2009, at 18:44 Universal Time (9:44 pm Makkah time). On Saturday, September 19, 2009, sunset at Makkah is 6:20 pm local time, while moonset is at 6:36 pm local time," the statement said. "Therefore, first day of Shawwal, i.e., `Eid Al-Fitr is Sunday, September 20, insha'Allah." 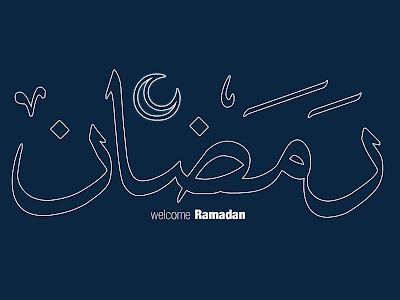 Meanwhile, the Islamic Crescents' Observation Project (ICOP) said Ramadan will start on Friday, August 21, in some countries and a day later in other states, according to astronomical calculations. "According to the Universal Hejric Calendar (UHC), which is based on the calculated crescent visibility, the start of this month in the Eastern Region will be on Saturday 22 August 2009 and in the Western Region will be on Friday 21 August 2009," ICOP said on its website. Egypt's National Research Institute of Astronomy and Geophysics (NRIAG) has already said that the holy fasting month will start on Saturday, August 22, according to astronomical calculations. The Libyan Center for Remote Sensing and Space Science also said that the dawn-to-dusk fasting month will start on Friday, August 21. Check out when is the next new moon in your area at Moon Watch. The London (UK) West End is bracing itself for an "oil rush" of Middle Eastern tourists ahead of Ramadan - with sales to Arab shoppers already up 50% this year. Many shop-workers are learning Arabic ahead of the influx, while some shops are widening aisles as Middle Eastern tourists tend to shop in big groups. Arabs stay longer and spend more than other tourists, outspending Americans by 60%, the New West End Company said. A Middle Eastern man recently spent £30,000 on furniture in one shop. It is anticipated Arabic tourists will part with £250m in the West End between July and September. That figure may be higher if major Middle Eastern royal families visit - many Arabs choose a destination based on their monarch's travel plans. Stuart Chappell is general manager of the upmarket Cumberland Hotel in Marble Arch. He said: "Unlike many foreign visitors, Middle Eastern guests often stay for long periods, sometimes three months or more. "Many guests travel en-mass and we regularly see one party occupying 20 rooms. It's a demanding market but increasingly important." The hotel has started providing separate male and female prayer rooms. Noel Saunders of John Lewis, Oxford Street said: "Middle Eastern countries are our biggest international customers, accounting for 35.5% of sales. "Leading countries include Saudi Arabia and United Arab Emirates - and for the first time we have seen an increase in Libyan shoppers." In 2008, there were 315,000 Middle Eastern visitors in London, spending an average of 14 nights in the city.